With this second edition of its “Vinos de Autor”, Ponte da Boga accompanies Budiño with his latest album of the same name, once again opening its doors to artistic creation within its cultural sponsorship programme Riverside. 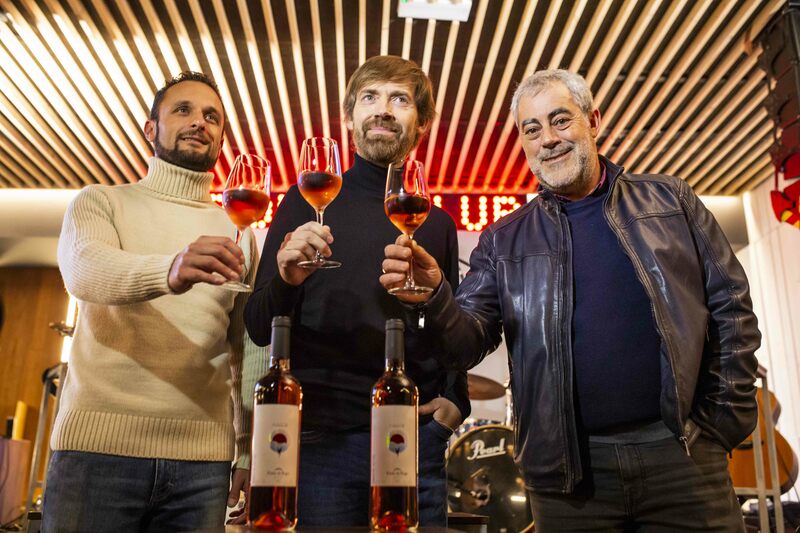 The winery Ponte da Boga, part of Corporación de Hijos de Rivera, launches the second edition of “Vinos de Autor”, a look towards its cultural sponsorship programme Riverside accompanying the Galician artist and composer Xosé Manuel Budiño through Fulgor, an exceptional rosé. An open door to creativity. Creativity and art are part of the identity of Bodega Ponte da Boga. They know that research, imagination and creation allow them to improve, develop and open up new paths. With VINOS DE AUTOR, the winery opens up a new facet with a series of limited editionsthat accompanythe work of creators whose proposals respond to the same values. Following the good work started last year by creating a special edition with Vega associated to her successful album ‘La Reina Pez’, VINOS DE AUTOR now joins Budiño with his latest creation ‘Fulgor’. 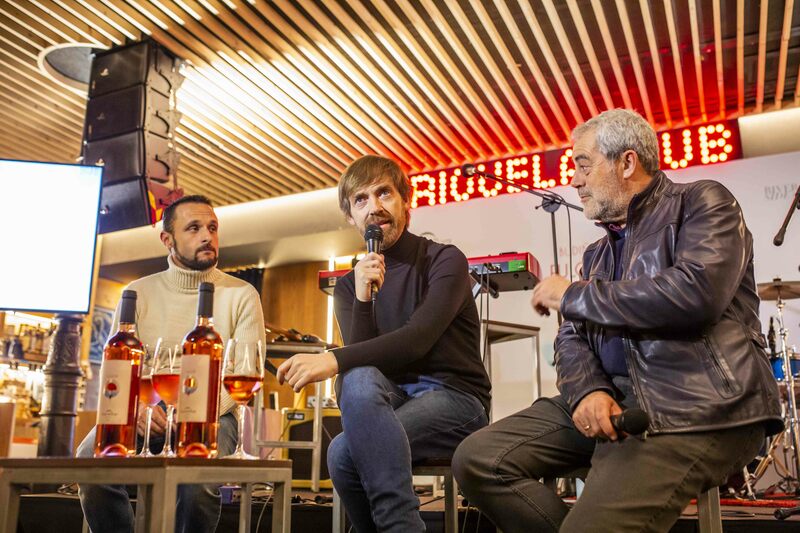 After 20 years of a career dedicated to performing his own bagpipe and flute compositions, the Galician artist and composer, has decided to reinvent himself with his first sung album.Fulgoris the perfect album to pair with the values of our Ponte da Boga rosé, to which it lends its name, that also dares to break down the barriers of expectations with regards to the habitual or expected with the wines of our land. If with its first edition, La Reina Pez, it crowned the mencíagrape with its first rosé, now the crown in shining Fulgor. All the editions of the albums that accompany the Vinos de Autor collection contain a declaration of commitment and protection of the creative environment as part of the essence and proposals of our winery, whose 121 years of heroic viticulture are framed within impressive nature that must be preserved on the sides of the valleys where the rivers Miño and Sil flow. As proof of this commitment, we have published an edition of the album with sustainable techniques and materials, using stone paper with “cradle to cradle” certification. Fulgor is a pure rosé, fresh, fragrant, and fun and maintains the characteristic elegance and complexity of the Ponte da Boga wines. It’s a wine from the Ribeira Sacra which presents a pale rosé colour, is intense on the nose, characteristic of the land where it originates, with notes of sweets, strawberry, roses and blackberry: just 2000 bottles of an original, fresh wine full of nuances. It marries perfectly with fish and white meats, but also with all types of grilled mushrooms, where earthy notes stand out from among the red fruits perfectly. One of the best representatives of the bagpipes and flute for over 20 years, Budiño gives his own voice the protagonism by producing his first sung record. ‘Fulgor’ is a new album with 10 original songs, composed, produced and sung by him. Xoel López accompanies Budiño on ‘Santiago‘, the first single from the album. Xoel composed the lyrics, and both voices interlink on a track that carries the sounds of its land while aspiring to cross borders. But the collaborations on ‘Fulgor‘ do not end there. Budiño also released ‘Frida‘ a few days ago, a track featuring the acoustic guitar of Jairo Zavala, Depedro. The lyrics feature the words of poets like Antía Otero, of composers like Vega, who joins Xoel López writing songs for the album. There are also great instrumentalists in the album, like the guitarist Antonio Casado, the Portuguese-African of the musician Luiz Caracol and the Cuarteto Quiroga, recent winners of the Premio Nacional de Música, who fill a number of tracks with their sound. Throughout his long career, Budiño has gained the admiration of his peers, turning him into a fascinating creator who gets to the root of Galician tradition in his music, mixing it with contemporary sounds. The artist has taken his work onto stages all over the world with his first 6 albums, among which are ‘Paralaia‘, ‘Home‘, ‘Volta‘ and ‘Sotaque. Cities like Shanghai, Beirut, Mexico DC, Tangiers, Milan, Buenos Aires, Bogota and Frankfurt have seen him live. The musician has also shared line-up and stage with great international performers like Van Morrison, Jerry González, Jorge Pardo, Capercaillie and the Orquesta Sinfónica de Lorient, among others. With ‘Fulgor’, Budiño has crated a more plural album, of freer genre, more from everywhere, more open, and basically, more Budiño than ever. Ponte da Boga is Corporación Hijos de Rivera’s winery located in the area of Castro Caldelas, in Ribeira Sacra (Orense). Built in 1898 by a family from the area, the winery was very successful until the end of the 1960s, when it stopped production, and remained closed until 1999, when local winegrowers decided to do it up again and start making wine again. It has belonged to Corporación Hijos de Rivera since 2005. Since then, it has invested a lot of work in the area of research with the aim of recovering varieties of autochthonous grapes, practically abandoned varieties, with which to make wines with big personalities, but overall, firmly identified with the area. After many years of hard work, Ponte da Boga is currently a reference in terms of research, quality, and differentiation in the D.O. Ribeira Sacra. The reaffirmation of the identity of its wines, the care taken of the environment, and the modernisation of the growing techniques are just some of the characteristics of this over a hundred-year-old winery, the oldest in Ribeira Sacra.